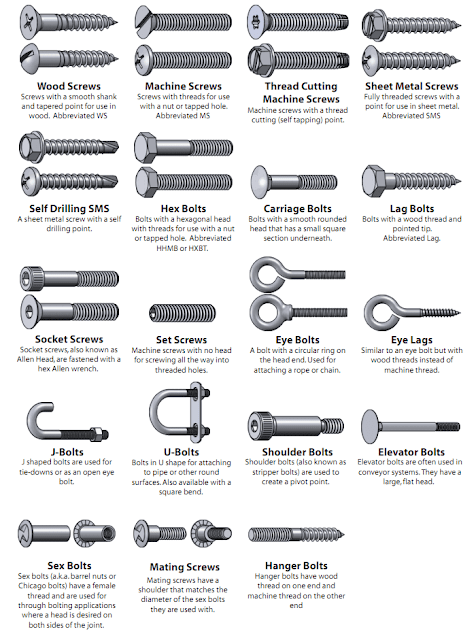 Fixing screws and bolts as well as drilling holes for them is one of the most basic tasks in woodworking. 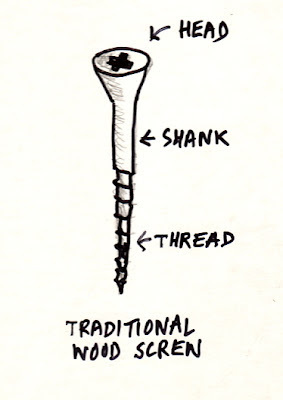 The screw is a much better and stronger fastener for joining two pieces of wood as compared to a nail or glue. The helical threads of the wood screw grip wood better and compress the two pieces to be joined tightly. Most wood screws need to be housed in a countersink to be effective. 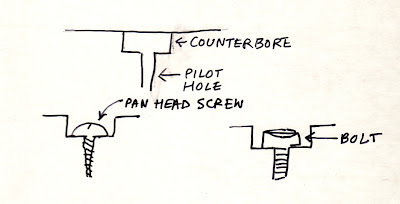 The term countersink is defined as “A hole with the top part enlarged so that the head of a screw or bolt will lie flush with or below the surface”. If the screw is simply inserted on the surface of the wood, then the head will protrude and the gripping pressure will not be maximized. Countersink bits come in different sizes but produce bevels normally of 82 degrees, which seems to be standard. Other angles - upto 90 degrees - are also available but it is the diameter of the countersink bit that usually needs to match the head diameter of the screw. A larger bit could produce a smaller countersink if the depth of the bit is controlled; various sized countersinks are not really necessary except in a production setting where large numner of holes have to be countersunk quickly and precisely. 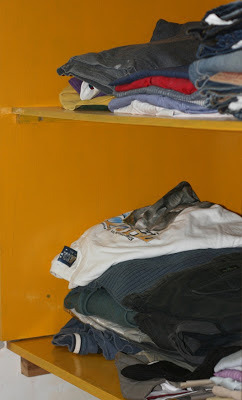 Unfortunately, these simple but extremely useful bits are not always readily available in India. Bosch Power Tools sells a drill bit set (Bosch X30Ti 30pcs X-line Bit Set) which includes a countersink bit. The counterbore is another form of recess for housing screws and bolts. The latter usually have flat heads and undersides and often have to be set flush with the top of the wood. Some screws, particularly pan head, have a flat underside to the head and have to be set in a counterbore. A counterbore is defined as “A flat-bottomed cylindrical enlargement of the mouth of a hole, usually of slight depth, as for receiving a cylindrical screw head”. 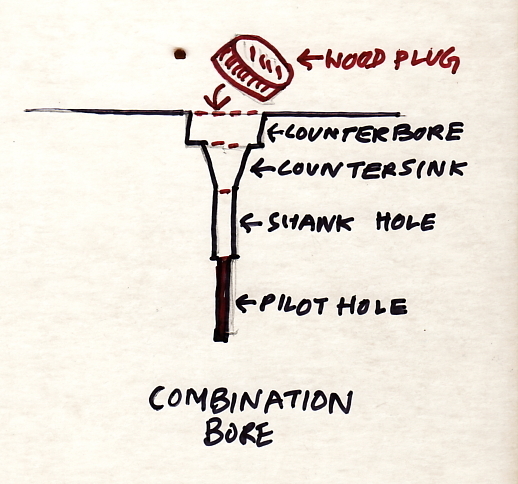 Figure 4 This is a counterbore. Note the flat bottom and the types of screws and bolts it can take. 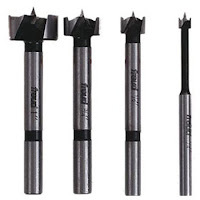 Figure 5 Forstner bits are great for drilling counterbores as they come in different sizes and leave a clean recess with a hole at the dead centre. A wide variety of drill bits with various combinations are available in the West. For instance, the UK based company, Trend Machinery, sells a range called Snappy. These are combination bits which drill the pilot hole, the shank hole as well as the countersink at one go. There are other bits that go another step further and can drill all that plus a counterbore. DeWalt and a host of other manufacturers make these combination bits which can be very useful when much drilling is to be done. Figure 6 This is what a combination drill bit is capable of. The screw can sit inside the hole while the counterbore can be covered with a wooden plug. Figure 7 This is an example of a drill bit and counterbore combination made by Trend. This saves time and ensures accuracy without any effort. Clearly, there is no end to the various types of drill bits and their combinations that are available. While it makes sense to buy these in a production setting, for the hobbyist they are not essential and a good set of standard brad point bits is more than enough. I like your comment: "A wide variety of drill bits with various combinations are available in the West"
India is a country of jugaad. so what are our options? Can we create a countersink using a hand tool or a bigger bit? Manish: A counterbore can be created by using a drill bit of a larger diameter than the pilot hole and roughly equivalent to the diameter of the head of the screw or bolt to be inserted. Countersinking could be done by carefully paring the edges of the pilot hole with a small chisel or by a kind of square awl available in most shops selling woodworking tools. You wrote this article in 2013. I have again picked up woodworking as hobby after many years and bought most of the tools online. But I could not get countersink drill bits in India. Recently someone brought three drill bits but they are much bigger in size. 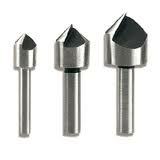 Any suggestions where can I get countersink and Forstner bits in India. 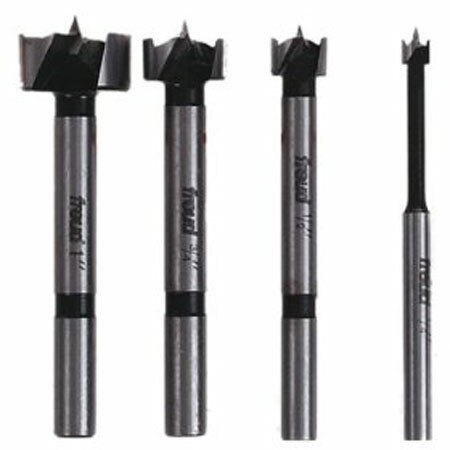 Bosch drill and screwdriver bit sets contain one countersink bit. You can get these from any online store. Forstner bits are available locally - I've seen them in Delhi's Chawri Bazar and in Bangalore. Local hardware stores keep such bits these days although you may not get the precise sizes you want. making drill upto 10 mm seems alright with drill machine + brad point bit. For a requirement like making a counter bore or making a hole with 3/4 dia or 1" dia, we used to have choices of buying hole saw. Most available in market is cheap one. Which is difficult to use, gets heated up while making even 10 mm depth. I can't imagine them using for making a hole of 3/4 inch dia through 3" hard wood!!!. Porter cable forstner bits could be an option. But isn't the old workhorse like brace + auger bit be a good alternative to make bit holes through thick hardwood? Yes, brace and auger bit would be best. It would not heat up and the cut could be controlled better. However, finding auger bits is difficult in India (at least in my experience). I will try to find something in barabazar. I mailed many americans who are selling vintage stuff in e-bay, few americans responded with plain refusal to ship in India.Fade up with that. As I re evaluated my option of making workbench top after getting suggestion from you, and decide to put another 1-1/2" layer on top of indian mahogany 1-1/2 inch. I procured good "saal" wood top and that will make my benchtop a 3 inch. Now as for making hole through stuff I need to find options other than using cheap hole saw I am having. I use a 3/4 inch auger bit with my larger Bosch drill to make the dog holes; works fine. I bought the auger bit (again Bosch make) through amazon.com. It is a beast of a bit and works just great.